Free Kindle Download of The Journey in Between! 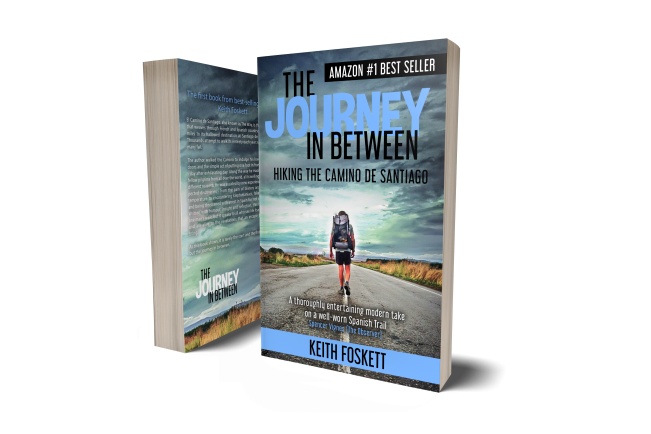 The Journey in Between, my Camino de Santiago memoir will be available for a FREE Kindle download starting this Friday, April 29. The promotion will run for five days until Tuesday, May 3. There’s no catches, no subscriptions. All you need is either a dedicated Kindle device, or just download the Kindle app for most smartphones, tablets and even your PC. Due to Amazon’s internal set-up, customers in the UK and rest of Europe may not see this offer exactly at mid-night on the first day. Bear with them, it will appear! This is my Amazon Author Profile, click on the link to see details for The Journey in Between and my other books, and to get your copy.